Description : A sleek cardholder made with the Italian Tamponato. It can be easily kept in your pocket. 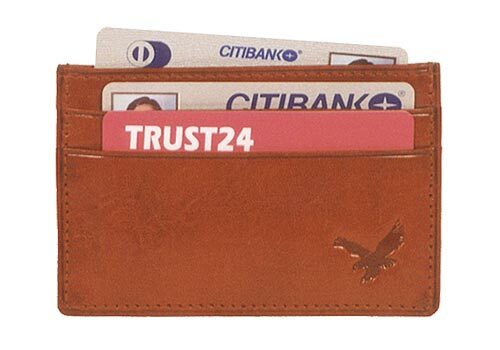 It has two credit card slots on the front and the reverse with a big pocket in between. The colours available are Black, Brown, and Burgundy & Blue.